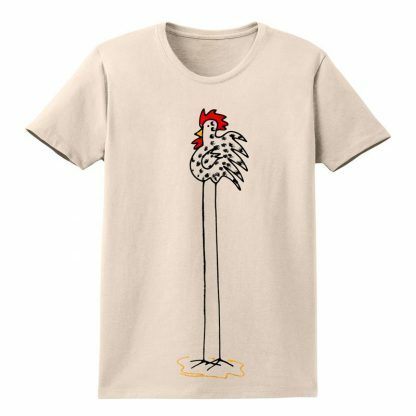 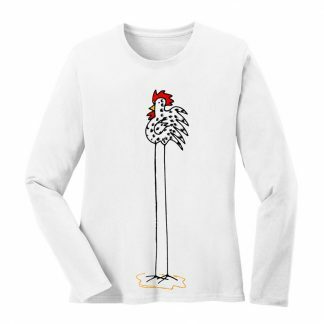 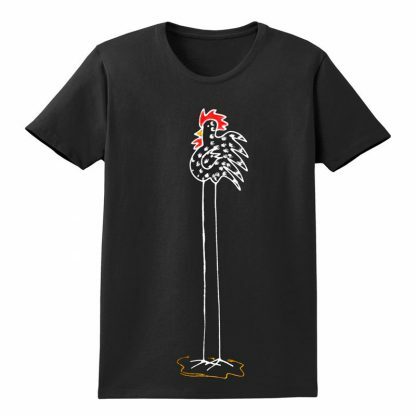 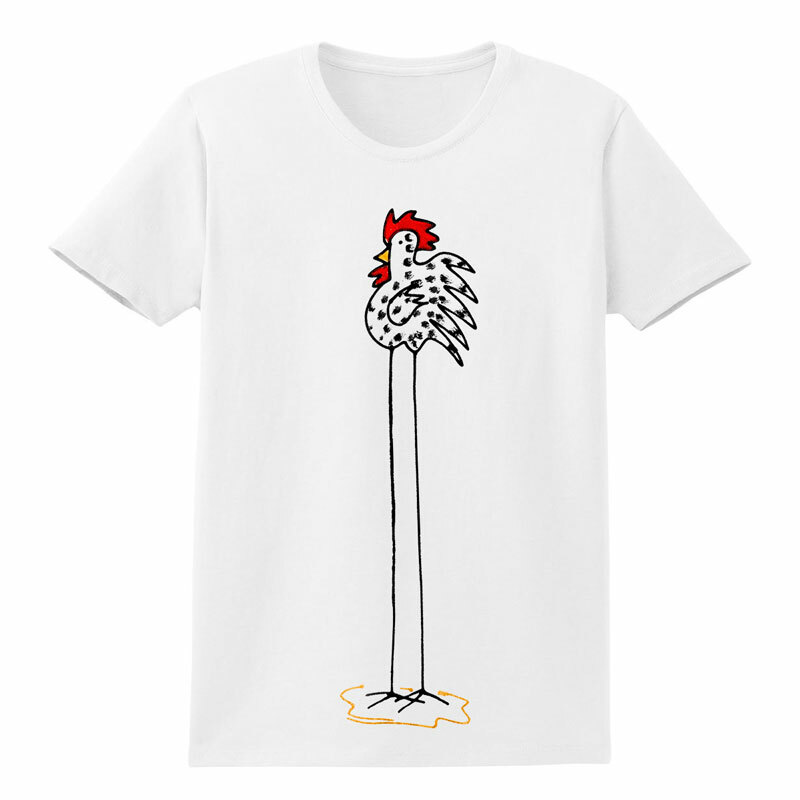 Ladies, short sleeve, pre-shrunk cotton t-shirt with hand-painted Chicken design. 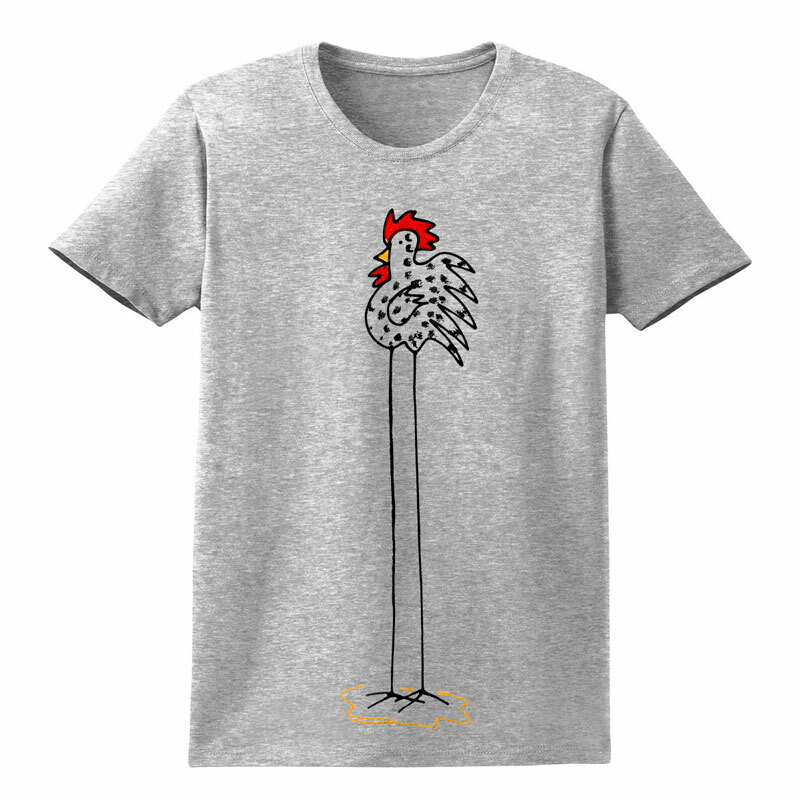 Pre-shrunk cotton, short sleeve, ladies tee. 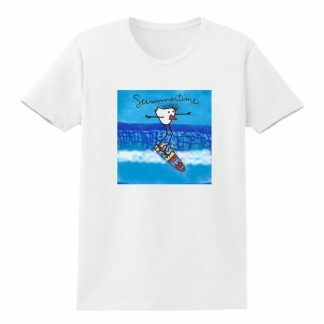 Printed and painted designs. 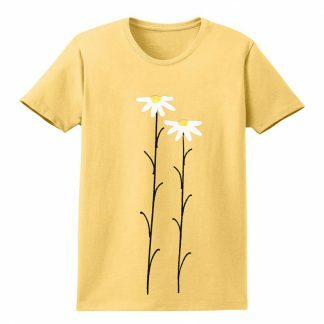 Small design on the back. Slightly fitted. 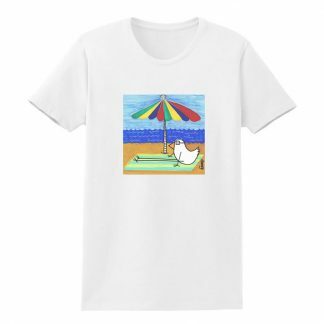 Wash inside out, cold water, hang dry. 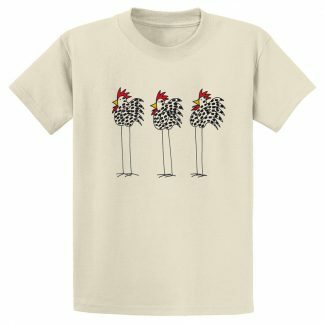 These shirts will shrink if you run them thru a full dry cycle.